Cameron is my original family name which I claimed when my father passed away. This name connects me to my ancestors who farmed the land of Aotearoa - New Zealand. They were pioneers. Carrying this name reminds me to stay grounded, look for new possibilities, have FUN with life and keep things simple. Tukapua is my married Maori name and I am grateful to have this link to the indigenous people of this land. Tu means to "to stand" Kapua is "the clouds". Living between the worlds of nature and spirit has always felt natural to me. As I've evolved my life purpose has become clear. The offering I bring to the world is guidance on how to live a grounded spiritual life through education for well-being on all levels. After 33 years of individual consults, leading retreats in China, Australia and New Zealand, delivering practitioner level training, my focus is now reaching out to mainstream audiences, empowering everyday people to take charge of their health. Well-being education is missing in mainstream education and we offer both face to face learning events and online courses through our web platform - www.You Being You.org Cameron and the You Being You group are pioneering different approaches to healing based on learning, connecting and sharing. Connection to ourselves and each other, learning from life’s challenges and sharing what helps us, empowers many. Our well-being programs are designed to reach out to grassroots communities and deliver the thinking upgrade required for this time. Science can now evidence what the ancients have always known - we are all connected. Quantum science teaches us that we make life happen with our thoughts, emotions and responses to life. Life is interactive and yet few people know the rules of HOW TO LIVE with this awareness. Chinese medicine has a 2200 year old evidence based medical history of well being preventative health care. This ancient medicine has never separated the mind from the body. In this tradition we are taught to recognise our relationship to nature and how the body functions as a whole integrated system. These simple frameworks offer well-being principles which are easy to understand and immediately apply to your daily life. Opening Up is a story about how to create Heart based connections with ourselves and others. It explains how "life is energy" and offers everyday language for understanding how the natural world around us is mirrored by the functions and movements of energy within us. 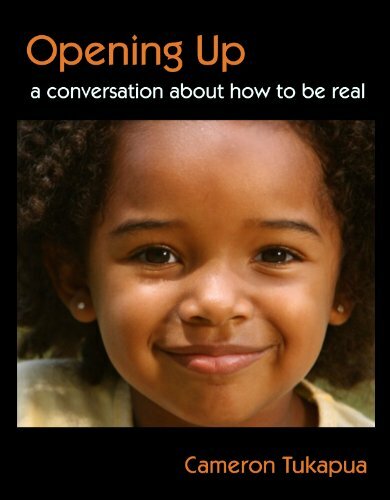 Opening Up encourages healing conversation about how to bring our true self forward in life. The story was originally inspired by the Christchurch earthquakes and the collective Heart opening that happened in response to that time. Many of us witnessed how people from all traditions instinctively respond from the Heart when life is threatened. What if we chose to live that way all the time ? Imagine if many of us were deeply connected to our original nature which is open, lighthearted and free ? What a different world. Read an article about Opening Up here.